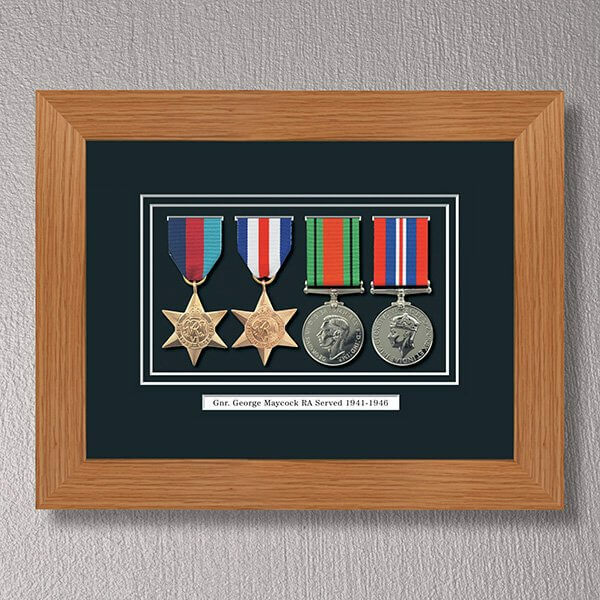 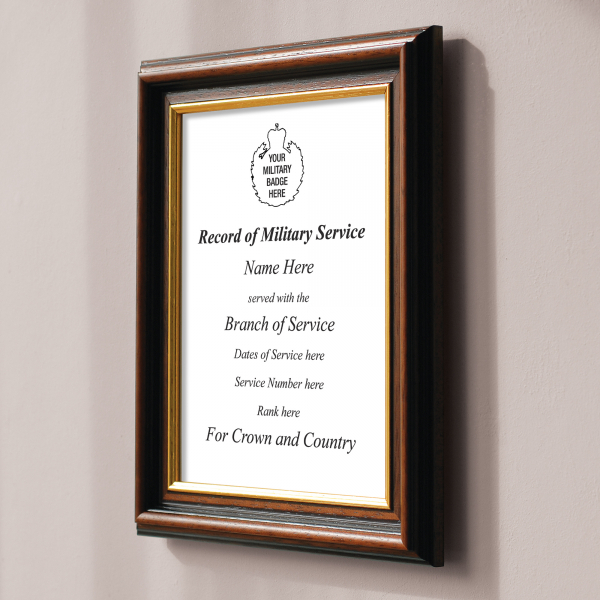 A handcrafted mahogany finish frame presents your photograph, regimental or service badge, service details; including name & initials, years of service, rank, regiment(s) and any other information supplied and high quality images of medals awarded. 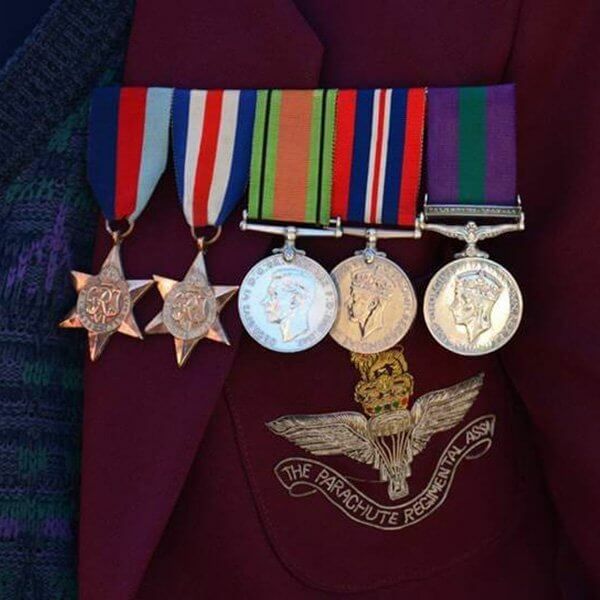 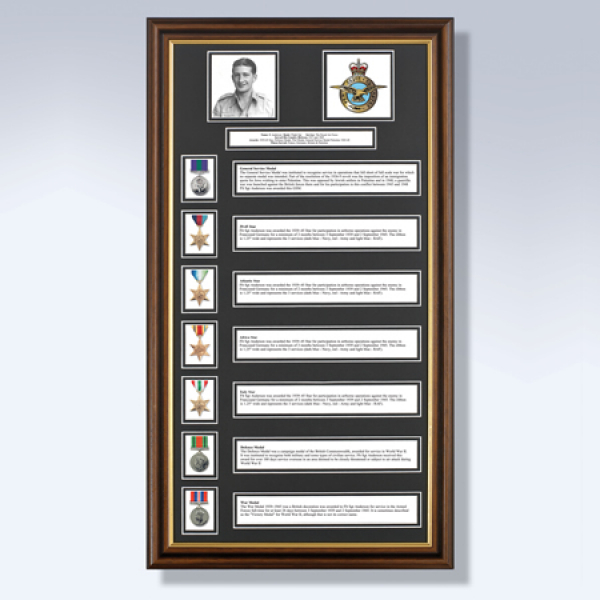 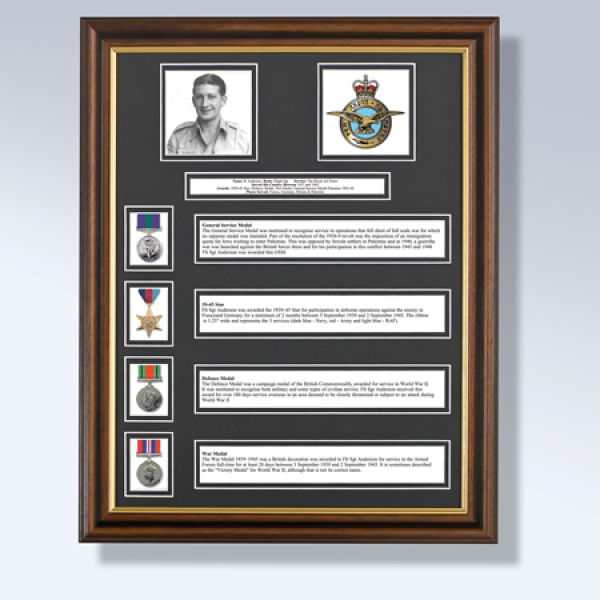 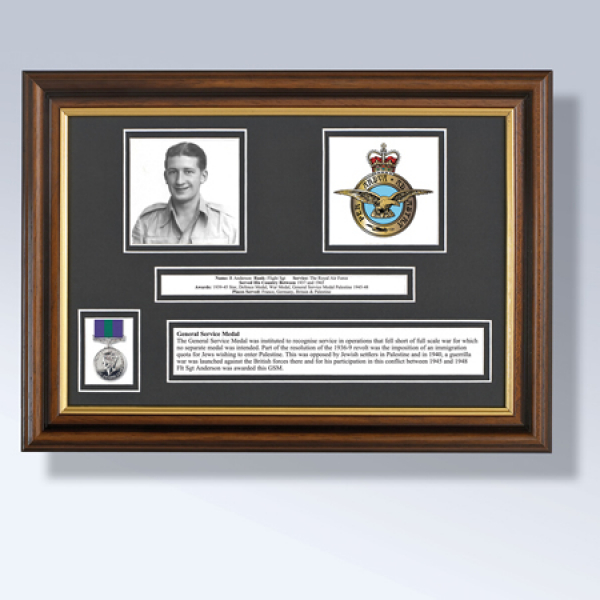 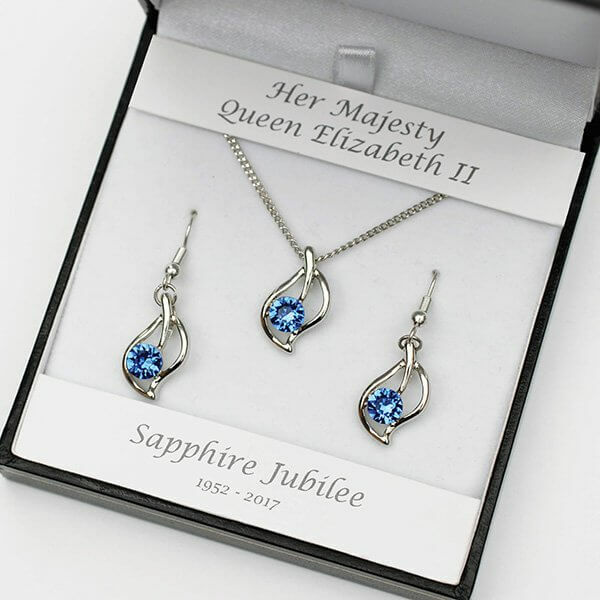 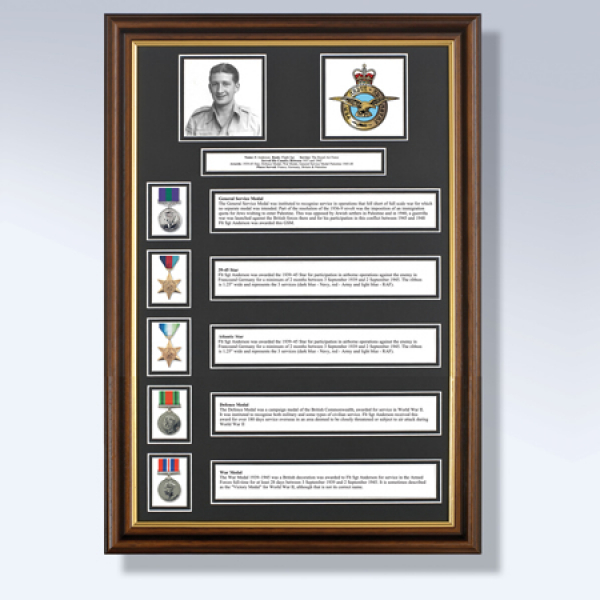 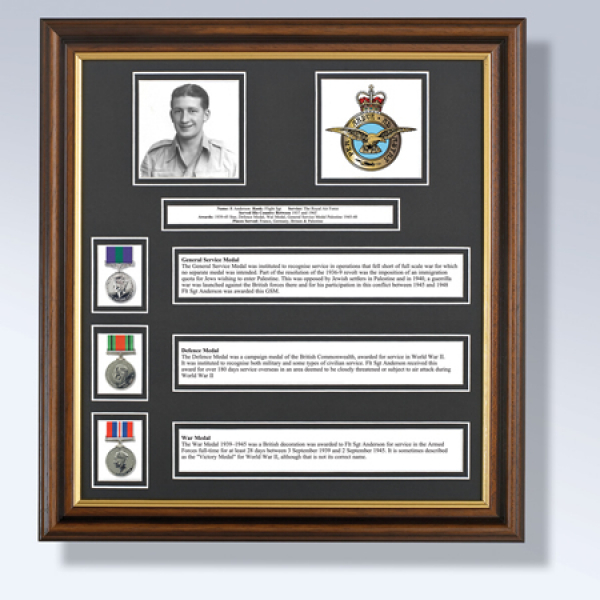 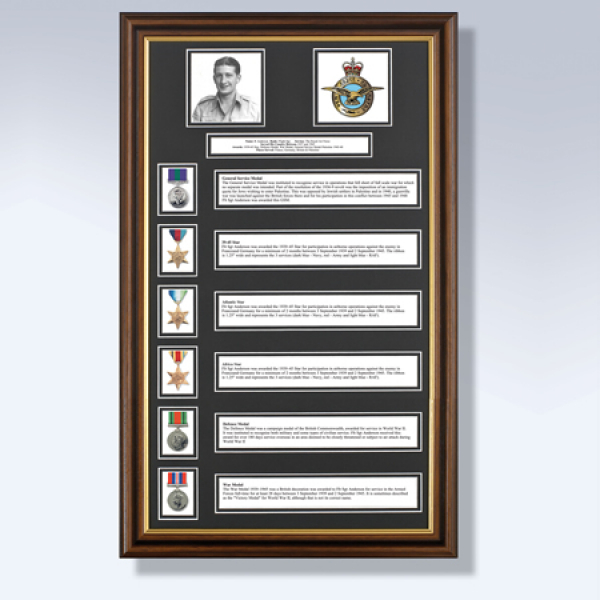 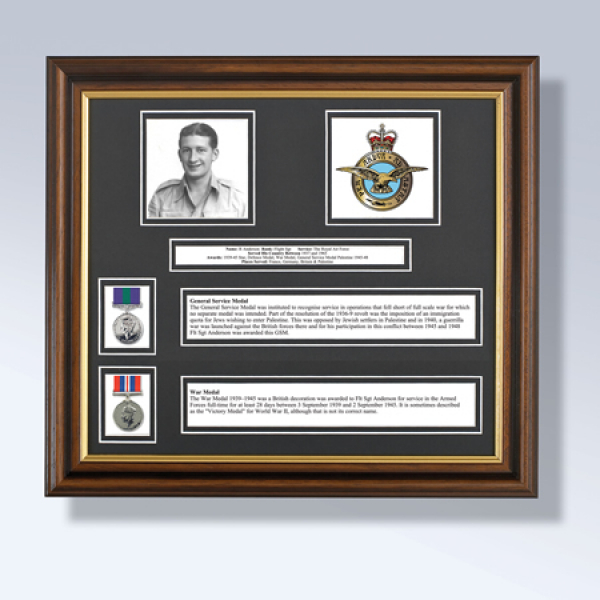 To add extra historic background, the images feature personalised details of the medal and the contribution made to make this a truly personal piece of family history to treasure. 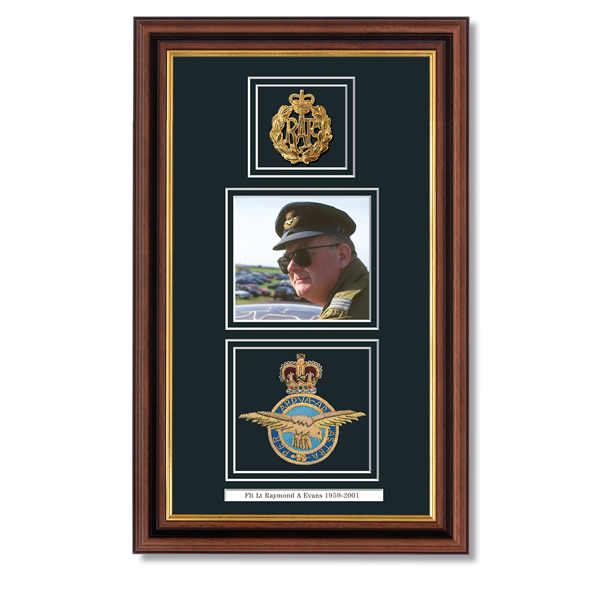 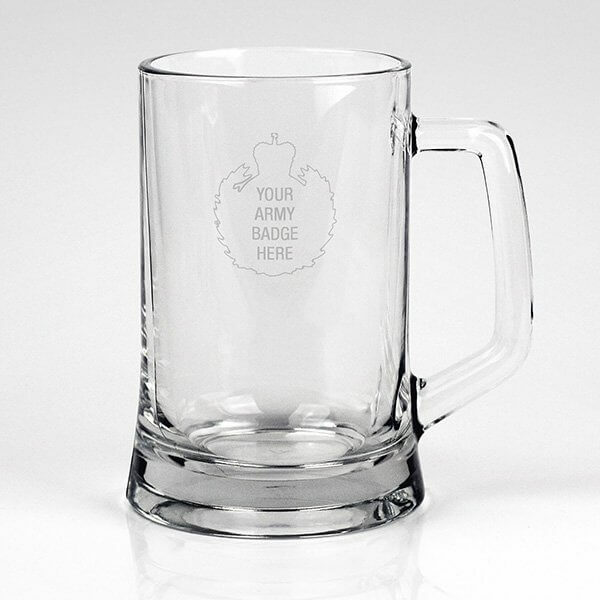 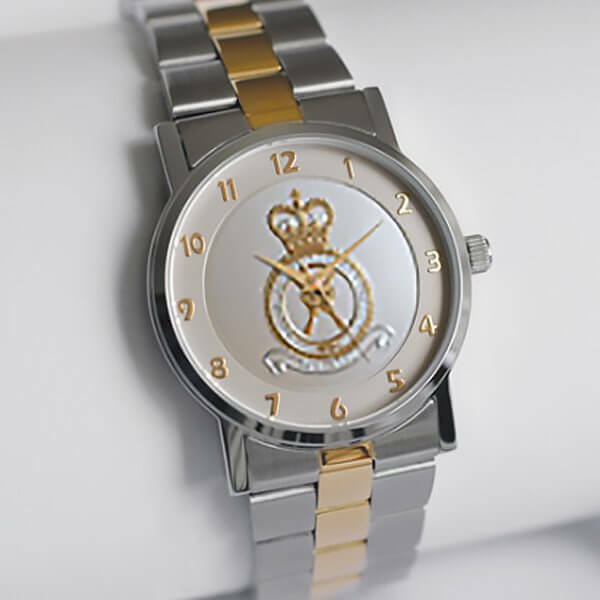 We will professionally reproduce your chosen photograph and mount it alongside your regimental or service badge. 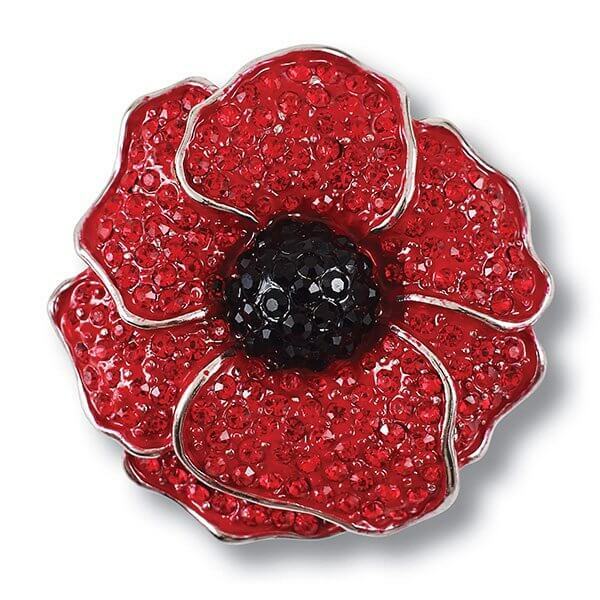 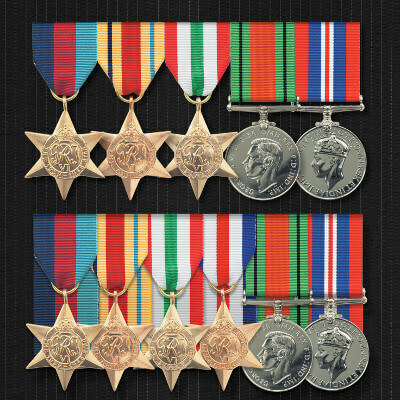 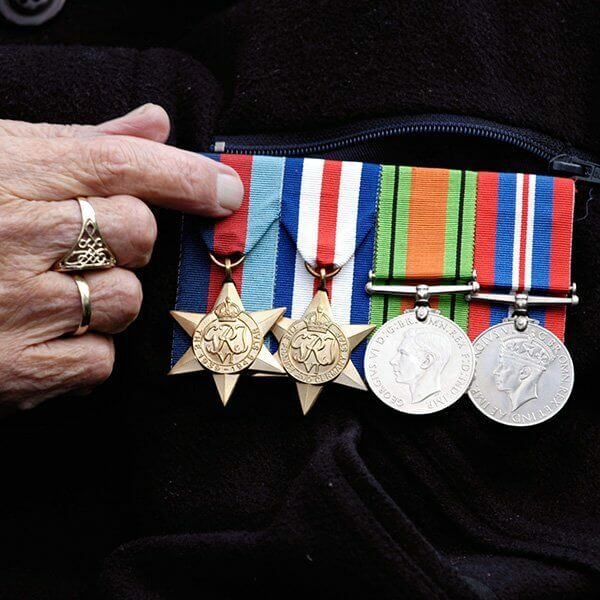 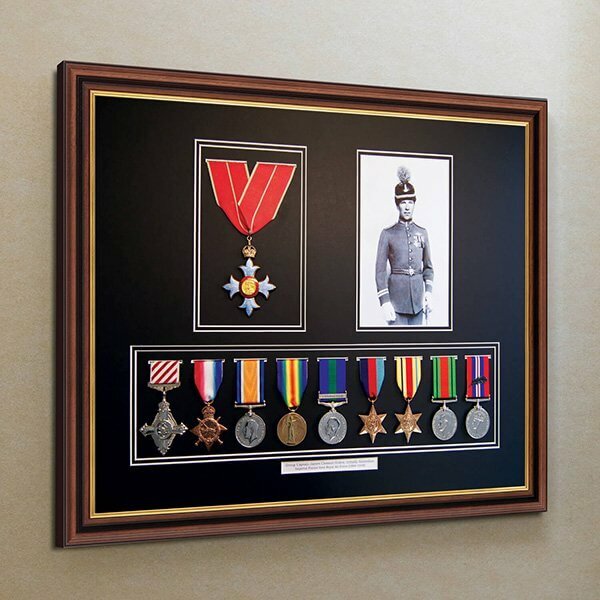 Dimensions: 330mm wide, height varies according to how many medals you require (up to 350mm & 640mm).Sending Your Photograph: Please send your image or photograph by email to info@awardmedals.com. 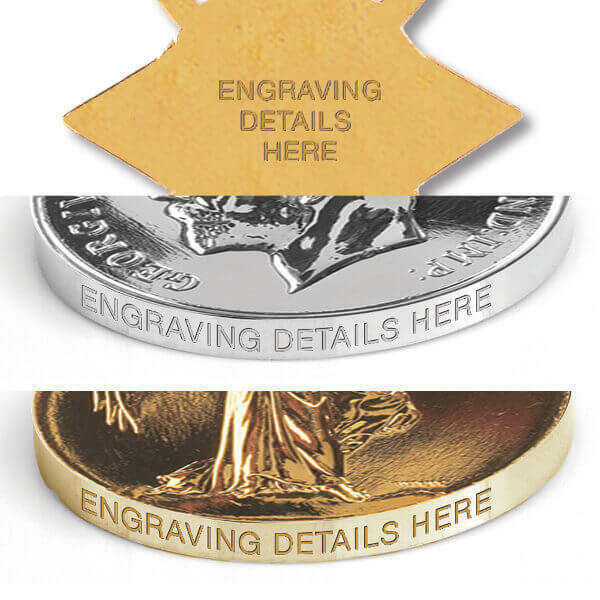 Please include your order number which you will receive once you have completed your order. 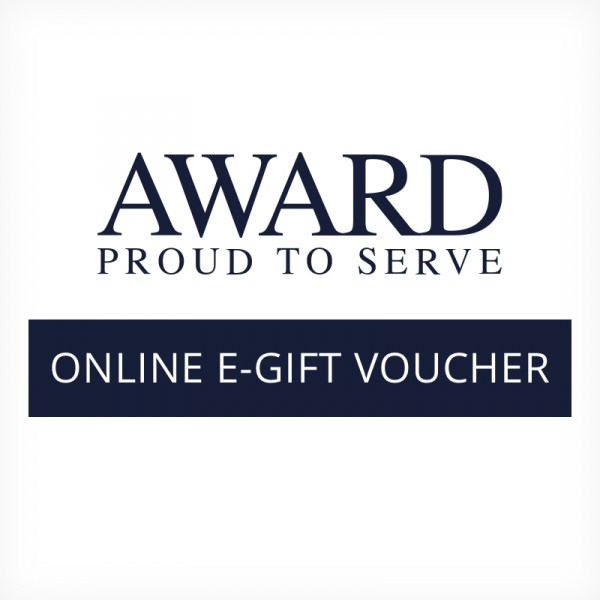 Alternatively you can post us a hard copy of your photograph or send it us on a disc or cd along with your order number, which will be returned to you with your completed order.